If you wish to attend a seminar, please book, using the link below the Seminar. Tea and other light refreshments will be available 15 minutes before the talk begins in the milling area outside conference room. The FASI seminars are recognised by the Institute and Faculty of Actuaries as providing 1 hour of continuous professional development (CPD) training. If you would like to be added to the seminar electronic mailing list, please send an e-mail stating so, containing your name to Faculty.Administration@city.ac.uk. Ermanno Pitacco is full professor of Actuarial Mathematics in the Faculty of Economics, University of Trieste, and Academic Director of the Master in Insurance and Risk Management at MIB Trieste School of Management. He is an actuary, full member of the Istituto Italiano degli Attuari (Italy), and affiliate member of the Institute and Faculty of Actuaries (UK). He is editor of the European Actuarial Academy series (Springer), co-editor of the “European Actuarial Journal”, and associate editor of the international journals: "Insurance: Mathematics & Economics”, “Decisions in Economics and Finance”, “Insurance Markets and Companies: Analyses and Actuarial Computations”. He delivers lectures in continuous professional development courses and master programmes (in Italy and abroad) for both actuaries and non-actuaries, in the field of actuarial mathematics and risk management techniques. He was awarded with the 1996 INA Prize for Actuarial Mathematics, from Accademia Nazionale dei Lincei, and the 2011 Bob Alting von Geusau Memorial Prize, together with Annamaria Olivieri, for the best paper published in the ASTIN Bulletin on an AFIR related topic. His main fields of scientific interest are Life and health insurance mathematics and techniques, Life insurance portfolio valuations and solvency, Longevity risk, Multistate models for the insurances of the person. In these fields, he is author and coauthor of textbooks and papers published in various international journals. Department of Mathematics, Stockholme University. Mathias Lindholm is an associate professor and senior lecturer at the department of mathematics, div. of mathematical statistics, at Stockholm University. He is working mainly with applied probability and statistics with an interest towards insurance mathematics. Mathias also has been working at major Swedish insurance companies with risk management, investment research and internal models under Solvency II. The aim of the talk is to present a transparent approach to account for estimation error in the analysis of prediction error of reserving methods and to provide an explicit estimator of the prediction error, in the form of an estimator of the conditional mean squared error of prediction, MSEP. The method of obtaining this estimator relies on using a certain resampling scheme, where the resampling can be carried out either conditionally or unconditionally, together with a single first order Taylor expansion. The applicability of the approach is illustrated by applying the method to both sequential (conditional) reserving models, e.g. the distribution-free chain ladder model, as well as non-sequential models, e.g. the over-dispersed chain ladder model. In particular, we show that the suggested approach retrieves Mack's famous MSEP formula for the ultimo claim amount and we provide a simple derivation of the MSEP for the claims development result for the distribution-free chain ladder model and discuss why the resulting formula differs from already known similar results. Further, we illustrate the effect of using either conditional or unconditional resampling in the calculation of MSEP for the ultimo claim amount for the distribution-free chain ladder model. The resulting difference turns out to be small - something which can be shown to hold asymptotically for a wider class of sequential linear models to which the distribution-free chain ladder model is a special case. If time permits we will discuss how the method applies to point process based micro models, distribution-free model selection and Bayesian analyses. This talk is based on joint work together with Filip Lindskog and Felix Wahl. Faculty of Actuarial Science & Insurance, Cass Business School. Biography: Dr Cormac Bryce is a Senior Lecturer in Insurance at Cass, and is a member of the Faculty of Actuarial Science and Insurance. His multi-method research spans from human behaviour in financial organisations to the effect of regulation, incentive structures and employee benchmarking on organisational behaviour within the aviation and financial services industry. 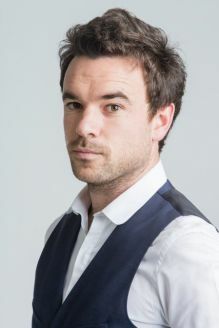 Cormac’s research focus has been grounded in the areas of error-reporting climate and the effects of risk events on the market sentiment of financial services organisations. In his most recent industry report written on behalf of the ACCA Cormac investigated to role of leadership in boardroom strategic decision making spanning from organisations in the FTSE 100 through to the third sector and SMEs. Abstract: We explore the drivers of researcher's perceptions around academic journal quality, and how these perceptions converge or diverge with rankings through a large-scale survey of UK business school researchers. Our survey was conducted in advance of the release of the new Academic Journal Guide (AJG) rankings list in early 2018, and resulted in 19,250 individual journal rankings. Personal and institutional demographics as well as behavioural factors are major drivers of quality perception. Of particular importance is a researcher's connection to, and investment in, the AJG system of ranking. Individual journal linkages, such as being a reviewer or having submitted to a journal, are also linked to higher perception of journal quality at odds with actual journal rank. Our research thus provides new insights into how researchers interact with journal ranking systems in light of their own perceptions of quality. We propose how the key stakeholders in journal rankings; business schools, journal editors, ranking bodies, and the business and management community can incorporate these findings to ensure coherency between individual, school, and national assessments of research quality. Abstract: After the diagnosis of a disease, one central objective is to predict cumulative probabilities of events (e.g. clinical relapse) from the individual information collected up to a prediction time, usually including biomarker repeated measurements. Even before a diagnosis, cumulative probability of disease can be computed from the individual screening history or exposure records. Such predictions based on information repeatedly collected over time can be (dynamically) updated as soon as new information becomes available. In this presentation, I will give a short overview about how dynamic predictions can be defined, and what are the difficulties with their computation and the evaluation of their predictive accuracy. For their computation, two main approaches have been proposed: the joint modelling approach which simultaneously models the longitudinal and the time-to-event processes, and the landmarking approach which directly focuses on the time to predict by conditioning on the repeated information collected up to the given landmark time. I will compare the two approaches notably in terms of predictive accuracy, efficiency and robustness to model assumptions using a simulation study. The presentation will be illustrated with the prediction of competing causes of prostate cancer progression from the history of prostate-specific antigen (PSA), the main biomarker in Prostate Cancer. Humanity has made, and continues to make, significant progress in averting and delaying death, which burdens society with increased longevity costs. This has brought to the fore the critical importance of mortality forecasting for actuaries and demographers. Consequently, numerous mortality models have been proposed, with the most popular and commonly-referenced models belonging to a generalised age-period-cohort framework. These models decompose observed historical mortality rates across the dimensions of age, period, and cohort (or year-of-birth), which can then be extrapolated to forecast future outcomes. Recently, a large number of models have been proposed within this framework, many of which are over-parameterised and produce spurious forecasts, particularly over long horizons and for noisy data sets. In this paper we exploit data analytics techniques to provide a comprehensive framework to construct, select, and evaluate discrete-time age-period-cohort mortality models. To devise this robust framework, we leverage two key statistical learning tools – cross validation and regularisation – to draw as much insight as possible from limited data sets. We first propose a cross validation framework for model selection, which can be tailored to determine the features of mortality models that are desired for different actuarial applications, including period and cohort-based forecasting. This enables the answering of questions regarding the effects of population size and structure, age, and forecasting basis and horizon on the preferred model selection. We also present a regularisation approach to construct bespoke mortality models by automatically selecting the most appropriate parametric forms to best describe and forecast particular data sets, using a trade-off between complexity and parsimony. We illustrate this using empirical data from the Human Mortality Database and simulated data sets. Andrés Villegas is a Lecturer at the School of Risk and Actuarial Studies and an Associate Investigator at the ARC Centre of Excellence in Population Ageing Research (CEPAR) where he was previously a Research Fellow. Andrés completed his doctoral studies at Cass Business School in London focusing on the modelling and projection of mortality. Before his doctoral studies he obtained an MSc degree in Industrial Engineering from Universidad de Los Andes (Colombia) and worked as a risk analyst at one of the biggest Colombian life insurance companies. 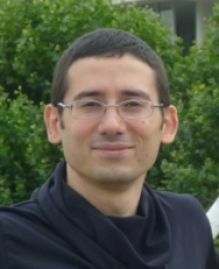 Andrés’s research interests include mortality modelling, longevity risk management and the application of optimisation techniques in actuarial science and finance. Operational Risk and Reputation in Financial Institutions: Does Media Tone Make a Difference? Operational risk announcements are unexpected adverse media news that potentially harm the reputation of financial institutions. This paper examines t he equity-based and debt-based reputational effects of financial sentiment tones in operational risk announcements and shows how such reputational effects are moderated by alternative sources of public information. Our analysis reveals that the net negative tone and litigious tone have adverse reputational effects, and the uncertainty tone mitigates the adverse reputational impact. Additionally, alternative, simultaneous sources of information neutralize the reputational effects of textual tones. First, third-party information about the event (i.e. regulatory announcements and final settlements) dissolves the favorable (adverse) reputational impact of the uncertainty tone (litigious tone). Second, loss amount disclosure and firm recognition substitute the reputational effects of the net negative tone and uncertainty tone only in Anglo-Saxon countries and market-based economies. Overall, our findings indicate that the reputational effects of the media materialize most when there is lack of certain, quantifiable and regulated public information about the operational risk event. Dr Ahmed Barakat is an Assistant Professor in Banking at Nottingham University Business School. He has written several research papers on risk management, corporate governance, banking, insurance and financial reporting quality which are published in high quality international academic journals such as Journal of Banking and Finance and International Review of Financial Analysis. He also serves as a referee for several reputable academic journals such as International Journal of Accounting, Corporate Governance: An International Review and Journal of Risk Research. He teaches undergraduate and postgraduate modules as well as supervises MSc dissertations, MBA projects and PhD theses in risk management, corporate governance, financial institutions, accounting and auditing. He has well-established experience in designing and delivering executive training courses and providing professional financial consultancy to international organisations in Europe and the Gulf area. The probability of successfully spending twice the same bitcoins is considered. A double-spending attack consists in issuing two transactions transferring the same bitcoins. The first transaction, from the fraudster to a merchant, is included in a block of the public chain. The second transaction, from the fraudster to himself, is recorded in a block that integrates a private chain, exact copy of the public chain up to substituting the fraudster-to-merchant transaction by the fraudster-to-fraudster transaction. The double-spending hack is completed once the private chain reaches the length of the public chain, in which case it replaces it. The growth of both chains are modeled by two independent counting processes. The probability distribution of the time at which the malicious chain catches up with the honest chain, or equivalently the time at which the two counting processes meet each other, is studied. The merchant is supposed to await the discovery of a given number of blocks after the one containing the transaction before delivering the goods. This grants a head start to the honest chain in the race against the dishonest chain. This study examines the predictability of one thousand five hundred and twelve volatility models on the EUR/USD, GBP/USD and USD/JPY exchange rates, the DJIA and the FTSE 100 stock indices and the XAU/USD gold spot price in US dollar. A discrete false discovery controlling procedure is employed to identify the significant predictable models. Our results indicate significant differences in forecasting conditional variance. The most accurate models vary across the series, periods and measurement scales. Time-varying means, Integrated GARCH (IGARCH) and SV, as well as fat-tailed innovation distributions are the dominant specifications for the outperforming models compared to three benchmarks of ARCH (1), GARCH (1,1), and the volatility pool’s 90th percentile. Georgios Sermpinis is Professor of Finance at the Adam Smith Business School of the University of Glasgow. He holds a PhD in the Quantitative Finance and Forecasting from Liverpool John Moores University, a MSc in Banking and Finance from Forecasting from Liverpool John Moores University and a BSc (Hons) in Mathematics from the National and Kapodistrian University of Athens. His mains interests are in the fields of Forecasting, Quantitative Finance, Machine Learning and Operations Research. He has published more than 30 papers in peer-review journals and his research has been cited more than 500 times. Georgios has offer consultancy for major banks such as Santander and Goldman Sachs. He has also co-author a book in Machine Learning and acts as editor for journals such as the Decision Support Systems and the Information Systems and Operational Research. Georgios has also edit special issues for the Quantitative Finance, the Journal of Forecasting, International Journal of Finance and Economics and Annals of Operations Research. Andrew is an internationally renowned actuary specialises in the application of advanced mathematical and statistical methods. He currently teaches at University College Dublin, where he has been since 2017. Andrew has published many papers in insurance, pensions and financial matters. In 1996 he won the Institute of Actuaries' prize for his paper "How Actuaries can use Financial Economics", another prize in 2002 for his joint paper “Corporate Bond Models”, and a further prize fo r his joint 2004 paper “The Cost of Capital for Financial Firms”. His 2001 methodology for constructing risk-free yield curves has been adopted for the published yield curves under Solvency II. His joint paper “Why financial firms can charge for diversifiable risk” won a Casualty Actuarial Society prize in 2003 and underpins much of current thinking on risk margins. In 2008, the Institute of Actuaries awarded a Finlaison Medal, in recognition of Andrew’s contribution to actuarial science, also awarding a prize for his joint paper “The Modelling of Extreme Market Events”. Andrew studied mathematics at Cambridge University (1987-1990) completing the usual three-year course in two years (BA Hons, first class) and gaining the Certificate in Further Mathematical Studies (also called Part III and denoted M Math) in his third year. The Institute of Actuaries awarded Andrew a Finlaison Medal in 2008, and elected him an Honorary Fellow in 2015. Andrew shares his name with thousands of other men in the UK and abroad. He distinguishes himself from his namesakes by sporting colourful bow-ties. Giampiero Marra isan Associate Professor at the Department of Statistical Science at University College London. After having graduated in Statistics and Economics at the University of Bologna in 2004, he worked as an econometrician and statistician for a consulting firm and a multinational company. In 2007 he was awarded an MSc in Statistics at UCL and defended his PhD thesis at the University of Bath in November 2010. Giampiero joined UCL in September 2010. Mortality by socio-economic class and its impact on the retirement schemes: How to render the systems fairer? Public pension systems are usually financed on a Pay-As-You-Go (PAYG) basis where pensions for retirees are paid by the contributions of the working-age population. Their sustainability hasbeen thoroughly studied in the literature with the aim to provide solutions against population ageing. For instance, Alonso-García et al. (2017) implement risk-sharing mechanisms that vary the contribution rate and pension indexation to restore the financial sustainability, while Arnold et al. (2016) suggest to use mortality credits to fund longevity risk. In practice, about half of the OECD countries have taken measures to improve the financial sustainability of their pension systems over the past few years (OECD 2015). However, these reforms may lead to substantial transfers from those with shorter lifespans to those that will live longer than the average, as they do not necessarily take the differences in mortality based on socio-economic classes into account. The contribution of our paper is twofold. First, we show that the current Defined Benefit (DB) and Notional Defined Contribution (NDC) schemes put the lower social economic classes at disadvantage compared to the actuarially fair pensions. In contrast to that, higher classes experience a gain. This is due to the fact that mortality rates per socio-economic class are not considered by either scheme. Consequently, we propose a model that determines the optimal parameters for each scheme and class, in order to render the pensions fairer even when no socio-economic mortality differences are considered. These include, among others, the interest rates awarded and the accrual rates. Our methodology is applied to mortality and salary data on a socio-economic level from the French Office of Statistics. 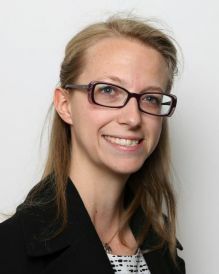 Séverine Arnold (-Gaille) is Professor in Actuarial Science at the University of Lausanne, Switzerland. Besides a PhD in Actuarial Science, she has a Certificate in Population Study from the University of Geneva, Switzerland. Her research focuses on longevity risk and mortality modeling, with a particular interest in cause-specific mortality rates. She is currently the project leader on a three-year research project on Cause-specific mortality interactions. Together with Corina Constantinescu (University of Liverpool, UK), she is currently organizing the fourth edition of the International School on Perspectives on Actuarial Risks in Talks of Young researchers (PARTY), to be held on April 14-19 2019 in Romania. In addition to teaching and research, she was involved in social security projects with the International Labour Organization, is a member of the International Actuarial Association (IAA) Life Section Committee (and currently vice-chair), the IAA Mortality Working Group and the Social Security Sub-Committee of the AAE (Actuarial Association of Europe). Seminars take place on Wednesdays 16:00 to 17:00 in Room 2005. Light refreshments available at 15:45 in seminar room. The seminars are open to everyone. Please contact: faculty.administration@city.ac.uk for further information.